I (Ann) will be happy to show you around in GuangZhou during your trip. We can rent a Van /bus for our trip ,we also can take Subway or taxi out.Normal a Van and with a good driver costs $65/day. Half day service includes 4 hours,Ann charges $60/family ,One day includes 8 hours,Ann charges $100/day .More than two families out in one time ,Ann offers 10% discount off. 470880373 is Ann`s Wechat ,if you are interested in this service ,please add Ann`s Wechat to your contacts ,that will be easier and quicker for Ann to get back to you . 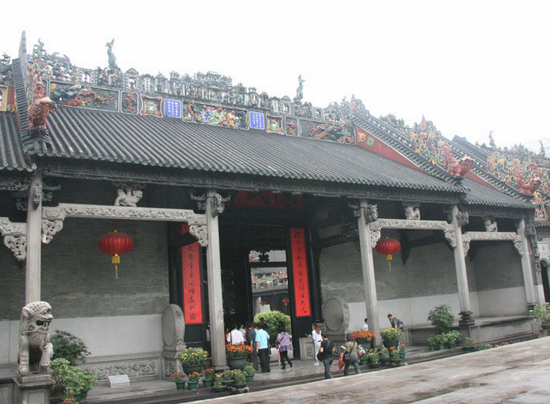 Ancestral Temple of the Chen Family is also called Chen Clan Academy which is a place both for offering sacrifices to ancestors and for study. The temple is a compound complex consisting of nine halls, sixe courtyards and nineteen buildings connected by corridors, all separated by walls from the outside world. A pair of stone drums in front of the entrance door, measuring 2.55meters(about 8.36feet) in height and two colored drawing pictures of door-god of four meters (about 13 feet ) height are said to be the best in Guangdong. The heart of Guangzhou's former European concession¡ªFrance and England both set up shop on this sandy river island in 1859 toward the end of the Opium Wars¡ªShamian Island is home to a number of colonial-era buildings, including a restored French Catholic church, Our Lady of Lourdes; its British Protestant complement, the Christ Church Shamian; and many former hotels, embassies, trading houses and residences. 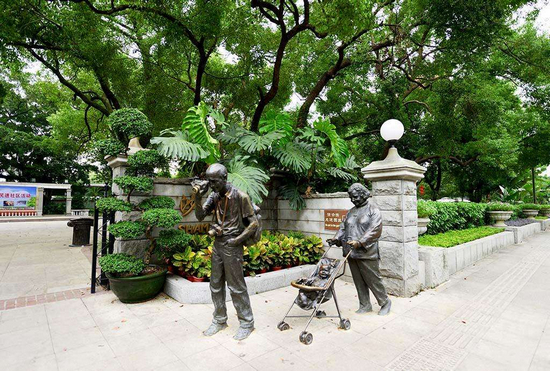 The island (actually a permanent sand bank in the Pearl River) makes for pleasant strolling and sightseeing, with its gardens and tree-lined streets, restaurants, cafes and tea houses. You can stay on Shamian Island, if you wish; there is a youth hostel for backpackers and several hotels provide a higher degree of accommodations, with the five-star White Swan Hotel being a particularly popular hotel among travelers, a number of whom are in Guangzhou to adopt (the US Consulate is next door, making legwork and paperwork easier). 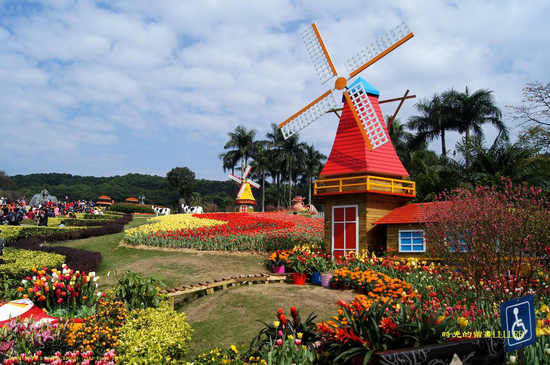 Opened in 1997, Chime-Long Xiangjiang Safari Park is the biggest animal theme park in Asia. It is the perfect mix of /combines protection, science research, tourism and education together. Although the park has exciting rides, its main attraction is its varieties of rare animals. 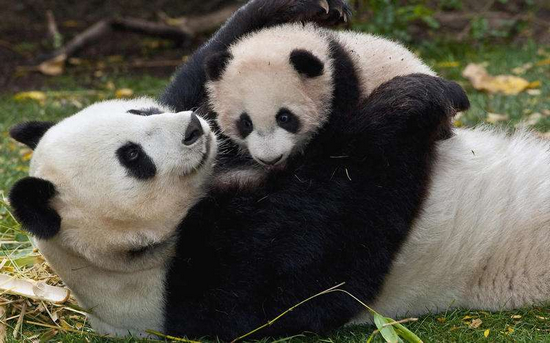 Known as the heaven/paradise of animals, the park possesses more than 460 species, among which there are 10 giant pandas, thirteen koalas and rare white tigers. Inside the park, visitors can approach as close as they can to the animals, feed them and take photos with their favourite animals. 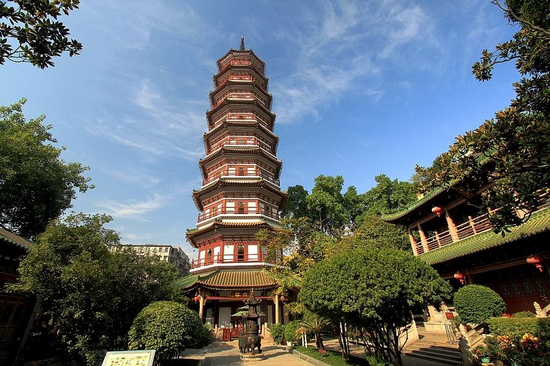 The Pearl River is where Guangzhou's scenic spots are. Praises to the beauty of the Pearl River have been 'Red Heart of the Pearl Sea' and 'Night Moon over the Goose Pool', selected in 1962 as of the Eight Sights of Guangzhou, plus the 'Sunlight Reflection at Shimen' of the old Eight Sights of Guangzhou and the recently selected 'Clear Waves of the Pearl River' of the Eight Sights of Guangzhou. The third largest river in China, the Pearl River measures 2,129 meters in length, with its name deriving from the Haizhu Rock (Sea Pearl Rock). When the thousand-meter long Pearl River went through Guangzhou City, a huge rock island in the center of the river was scoured time and again and became smooth and bright like a pearl, called 'Sea Pearl Rock', hence the name 'Pearl River' for the river with this rock. There is another legend about the naming of the 'Pearl River'. It was said that a Persian businessman stole the valueless pearl of his country and came to auction it in Guangzhou. Since it was the treasure of the nation, the Persian State sent people carrying lots of money to Guangzhou and buy the pearl. When they took out the pearl for appreciation on their way back by ship, the precious pearl flew up suddenly and fell into the river. Later the pearl changed into a huge stone, shinning. People called it Sea Pearl Island, thus the name of the Pearl River. In fact, the Pearl River is the general name for the river systems of the West River, the North River , the East River and Liuxi River. The West River originates from the Yun (nan) Gui (zhou) Plateau, and the North River and East River from Jiangxi Province, whereas Liuxi River is from the Qixing Ridge at Conghua City. The four rivers joint together in Guangzhou and flow to the South China Sea. As a rule, the Pearl River is called to mean the section of the river traversing Guangzhou proper. As the Pearl River was so wide 2,000 years ago, up to 2,000 meters, so it was also called the 'Pearl Sea'. Later the river narrowed down to 900 meters wide during the Song Dynasty, and it is only 180 meters wide now. 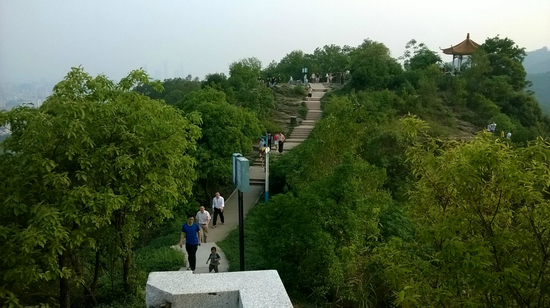 There are 10 bridges over the Pearl River: Renmin, Haizhu, Haiyin, Luoxi, Zhujiang, Guangzhou, and the newly-built Jiefang, Jiangwan, Huanan, Hedong, plus Zhujiang Tunnel, all of which connecting the south and north banks of the Pearl River and Fangcun District. There stand on both banks numerous star-grade hotels and commercial buildings: White Swan Hotel, Hotel Landmark Canton, Nanfang Mansion, Aiqun Hotel, Guangzhou Hotel, Gitic Riverside Hotel , all like sky-scrappers. In the evening, both banks are lit brightly, joined occasionally by the bright moon hanging in the sky. 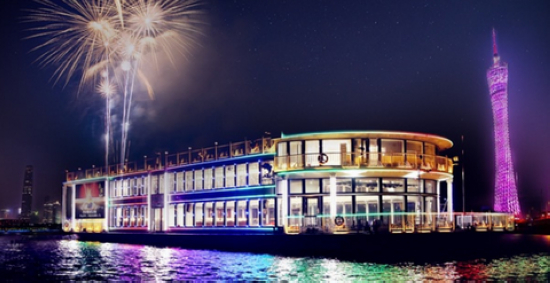 Full of passengers, pleasure boats for Pearl River cruise travel from the west to the east elegantly on the river, like playing happy melodies all together. It is located in the downtown area. I like its shape, it looks fantastic.It has a Nick name called Slim Waist.The things which impressed visitors is the color.At night, it light-up itself, I mean, there is a light show , which looks so beautiful. Its color, you know, is beyond description. I mean, it looks like a rainbow.Besides, Its color keeps changing all the time from red to purple.I used to get on the top of canton tower.When you got on Ferris wheel, you could see The bird view it was absolutely awesome.You have to make sure that u do not go there on weekend, otherwise it would be so crowded.Well, The ticket was so pricy but I still thought that it was good value for money.